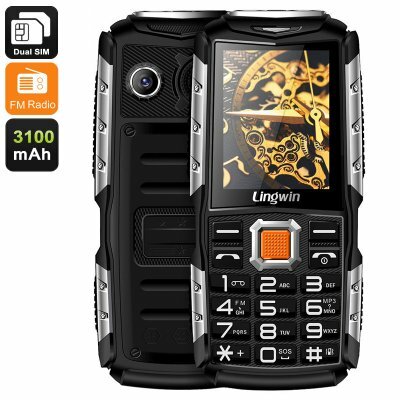 Successfully Added Lingwin N2 Cell Phone - Bluetooth, Dust Proof, Shock Proof, Flashlight, Dual-IMEI, FM Radio, Camera (Silver) to your Shopping Cart. This cheap cell phone features Dual-IMEI numbers. This means that you can slide in two SIM cards and stay connected to both providers at the same time. Therefore, you can always be reached on two different phone numbers while using merely one device. Your cell phone furthermore treats you to Bluetooth, an FM radio, and a 0.3MP camera. Its tough design is resistant to dust and shocks – allowing you to carry it along without needing to worry about accidentally breaking it. It even comes with an extra-bright flashlight that lets you light up the path in front of you.